Welcome to Resurrection School. 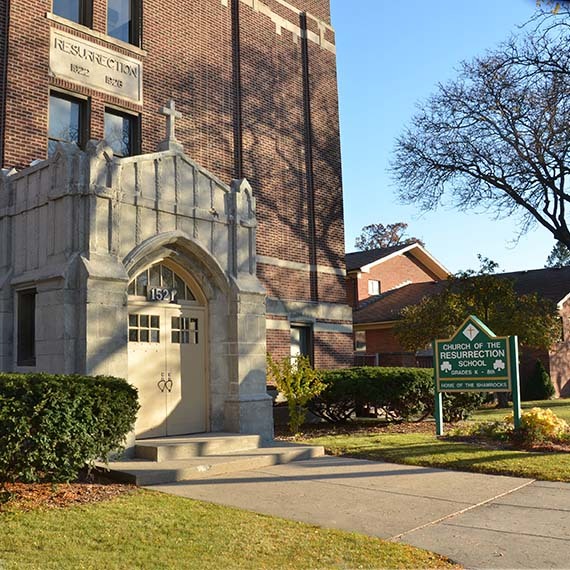 We are a family-oriented Catholic school in Lansing, where students are encouraged to reach their God-given potential through a traditional curriculum combined with a focus on Catholic teachings and the love of Jesus Christ in all areas of their lives. We prove that tradition works. For more than 85 years, we have provided students and families in the Lansing area with excellent academic opportunities in a nurturing, Christ-centered environment. Dedicated teachers, small class sizes, high expectations and a challenging curriculum result in outstanding test scores and numerous academic achievements for our students, who are well-rounded and capable of success in all areas of their lives. We focus on the basics, we wrestle with the truth, and we appreciate the goodness and beauty found in all of God’s creation. If you are looking for a place where you can be intimately involved in your child’s education and where your child will experience Christ’s love on a daily basis while being encouraged to succeed, look to Resurrection Catholic School. At a time when it seems other schools curricula are focused on testing and training rather than learning, Resurrection Catholic School has continued to demonstrate that traditional teaching methods work. We offer a traditional Catholic teaching environment, where children develop at their own pace. Our students learn reading based on phonics, math from the Saxon Math series, and life lessons from teachers who believe in Catholic morals and values. We also have art, band and Spanish and a well-equipped computer lab. We strive to use technology to complement our challenging curriculum. In addition, our small class sizes and high expectations are tried and true methods for academic success. At Resurrection, faith is an integral part of our daily school experience. Students are taught to walk with Christ through prayer, weekly eucharistic adoration and rosary, Mass, religion classes, retreats and Christian service. 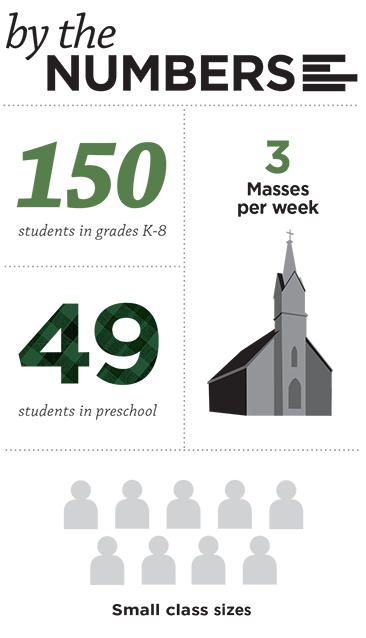 We are proud of our Catholic identity and the legacy of faith that we strive to pass on to each of our students. We also are a diverse community, and welcome children and families of all faiths to join our learning community. 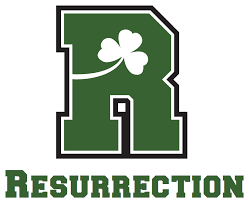 Resurrection School has many options for extracurricular activities for students and families. Student choir, middle school musical and dances, student council, quarterly awards assemblies, Wharton Center fieldtrips, Big Zoo Lesson and Camp Ebersole, Cub Scouts and Girl Scouts and Geography Bee are among the many offerings for student enrichment. We also have a student showcase, a spring school carnival, and a Christmas concert. Activities for families include family movie nights and skate nights, a back to school family picnic, the parish Ox Roast Festival, a school auction fundraiser and Advent and Holy Thursday retreats. Many of our students also participate in sports including basketball and volleyball through the Catholic Youth Activities League, and cheerleading, baseball, football, softball and track through the Lansing Catholic Jr. Cougar program. If you are interested in sending your child to Resurrection Catholic School but are concerned about the cost, come talk to us. There are many things we can do, including scholarships, a monthly tuition payment plan, and other ways to help make it possible.